The hydrophilic multi-walled carbon nanotube(MWCNT) hydrogel was prepared using acrylic acid, acrylamide and hydrophilic MWCNT. The orthogonal experiment was applied to optimize the synthetic conditions. The MWCNT hydrogel was characterized by Fourier transform infrared spectrophotometer(FTIR) and scanning electron microscopy(SEM) analysis. The MWCNT hydrogel was used as the adsorbent to adsorb water-soluble cationic dye. 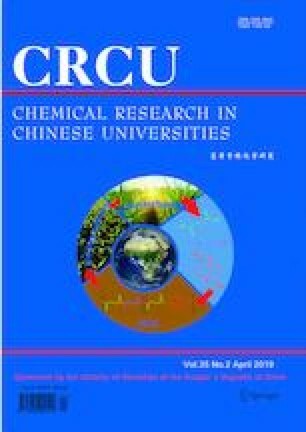 This study evaluated the adsorption performance of hydrogels on four dyes of safranine T, crystal violet, malachite green and methylene blue in water. The effects of the amount of hydrogel, the size of hydrogel, pH, and the temperature on the adsorption performance were investigated. The adsorption kinetic and adsorption isotherm curves were measured. The experimental results show that the MWCNT hydrogel can be easily separated from water and the adsorption capacity is much greater compared to the hydrogel without MWCNT. The MWCNT hydrogels can be used in wastewater treatment with a great potential. Supported by the Project of the Energy Bureau of Jilin Province of China(No.3D516L911425).